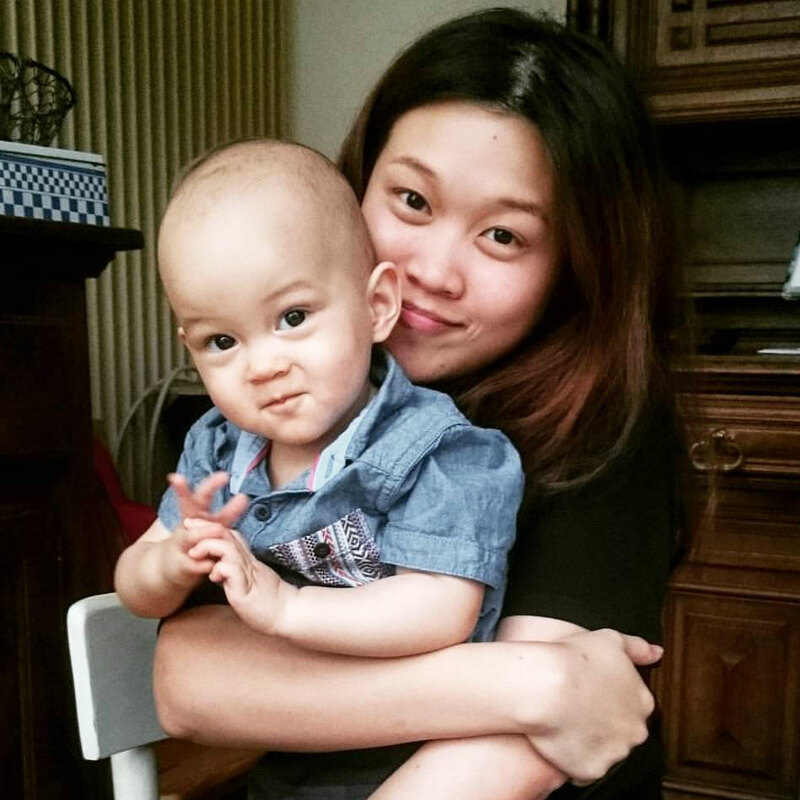 Narcissism is Necessary Tried, tested, and proven. 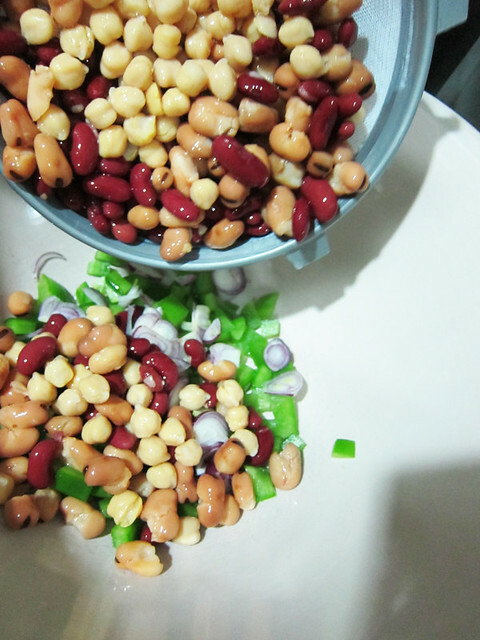 The crazy simple delicious 3 bean salad recipe. We’ve been eating a lot of beans thanks to the slow carb diet. Basically, we can still eat carbs, mainly to keep us from getting hungry but those carbs must be of “slow carb” type, which really means it has low glycemic index (low GI). Low GI foods release glucose into your bloodstream more slowly and steadily, preventing that dreaded sugar high —> sugar crash phenemenon that one experiences after eating refined junk food. So ingredients like beans and mushrooms are generally low GI and are permitted in our diet. 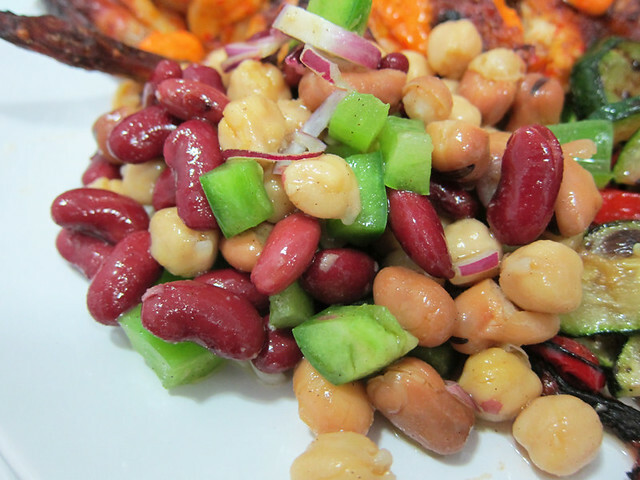 # – Crazy simple 3 bean salad. 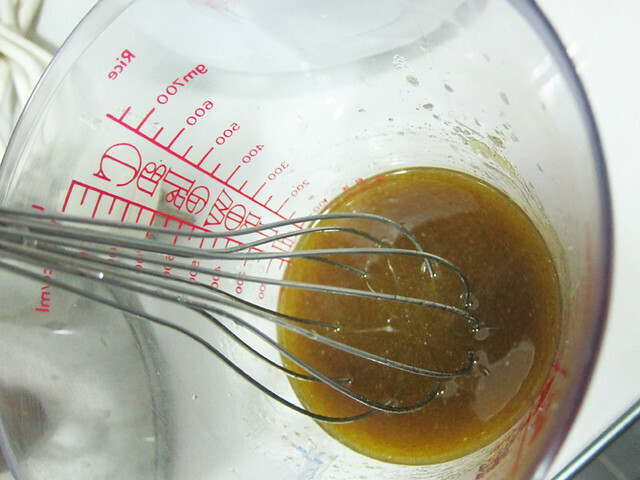 # – First, put all ingredients of the dressing in a bowl and whisk till completely combined. Allow it to stand. 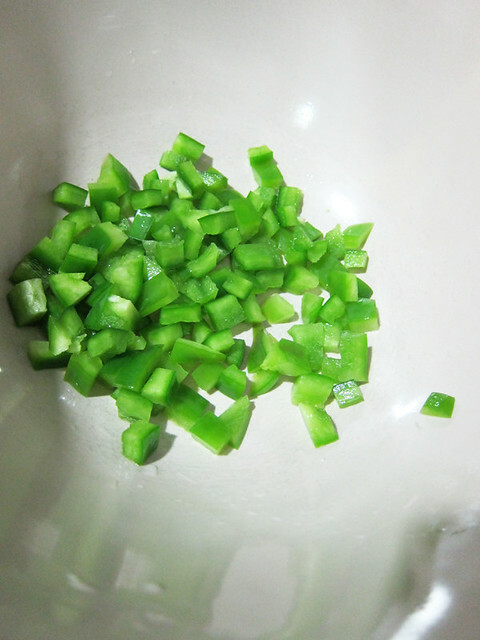 # – Now, throw in the chopped green pepper into a mixing bowl. 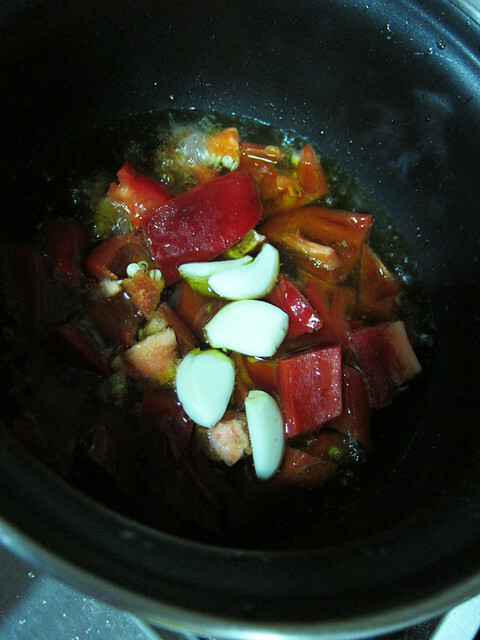 # – Followed by the sliced red onions. 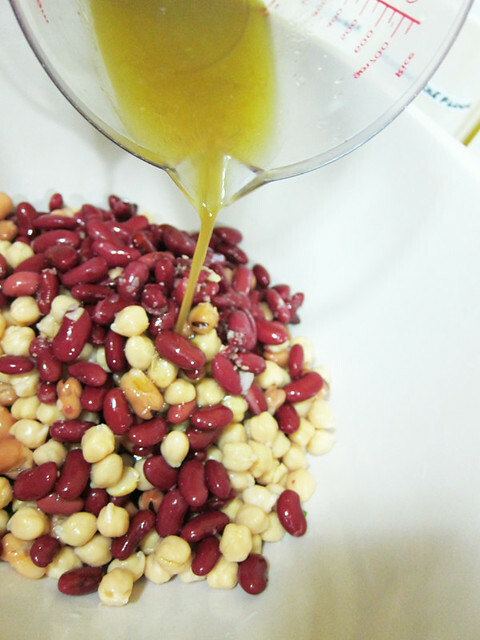 # – Open the cans of beans and pour it into a strainer. Then rinse them through till the water runs clear. 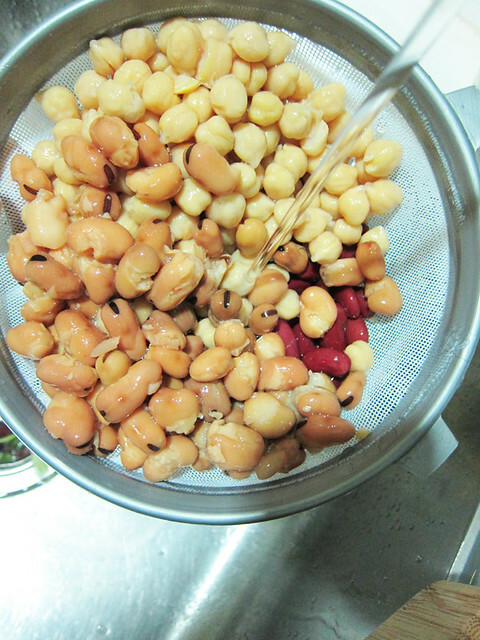 # – Pour the beans into the mixing bowl. 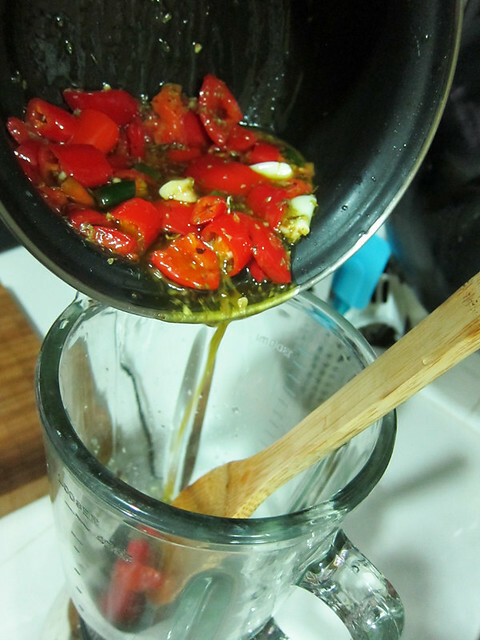 # – Give the dressing a final whisk and pour it all over the salad. 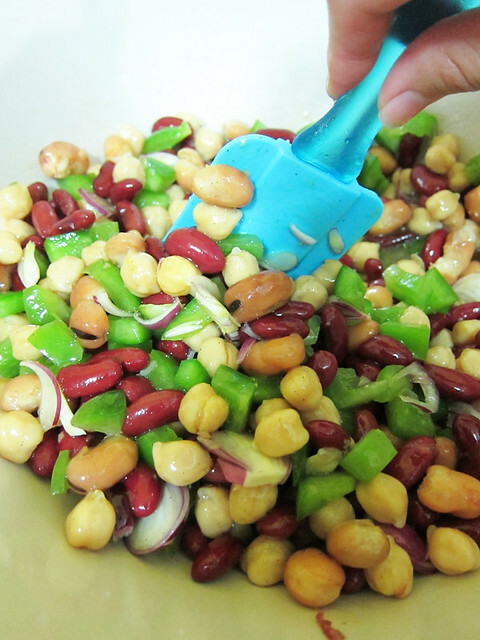 # – With a spatula, mix it up well making sure the beans are well coated with dressing. 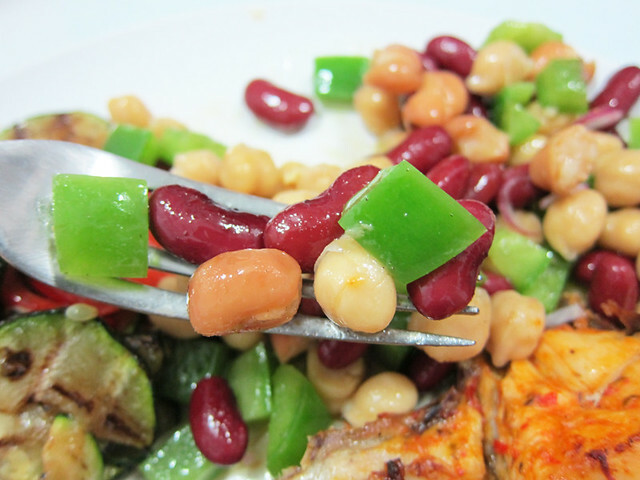 # – Chill the bean salad for at least an hour before eating. # – Serve as a side dish. DELICIOUS! # – The salad tasted even more amazing the day after. The beans were chilled through & completely soaked up the dressing. Quick with no cooking involved. Absolutely delicious and surprisingly healthy. I’ve made this 3 times so far using different beans. Attempting to make my own Nando’s peri-peri chicken recipe. For years we were bitter that the nearest Nando’s wouldn’t deliver to our home which was only about 5kms away. But that didn’t stop us from eating at Nando’s. In fact, if we ever spotted a Nando’s anywhere, it would take precedent over other meal options. Like seriously, we would know where to eat in a heartbeat. Nando’s! 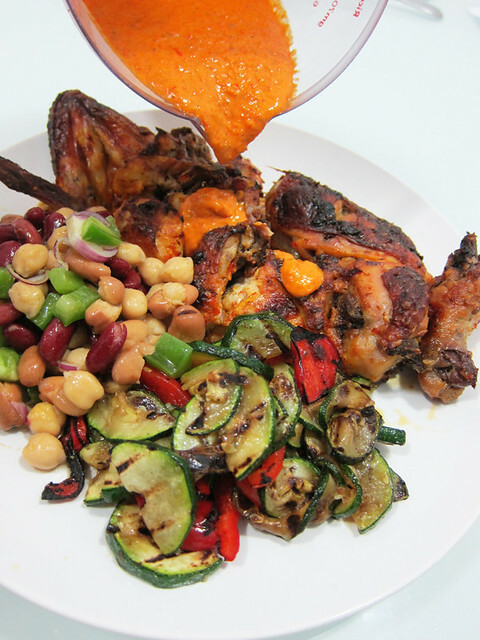 # – Kimberly’s homemade peri-peri chicken! 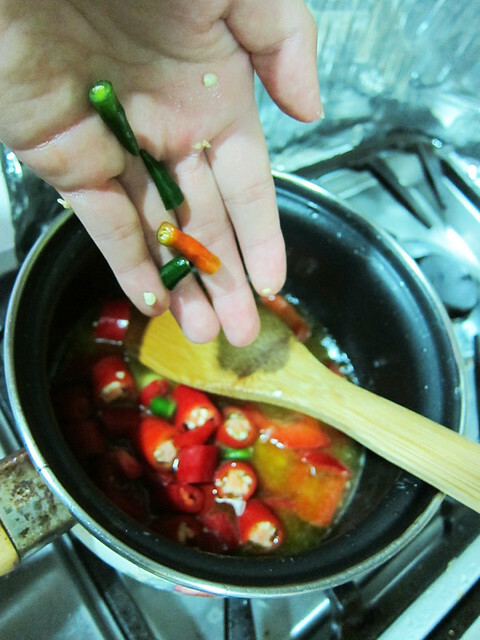 But it’s okay now because I can make my own peri-peri chicken at home! 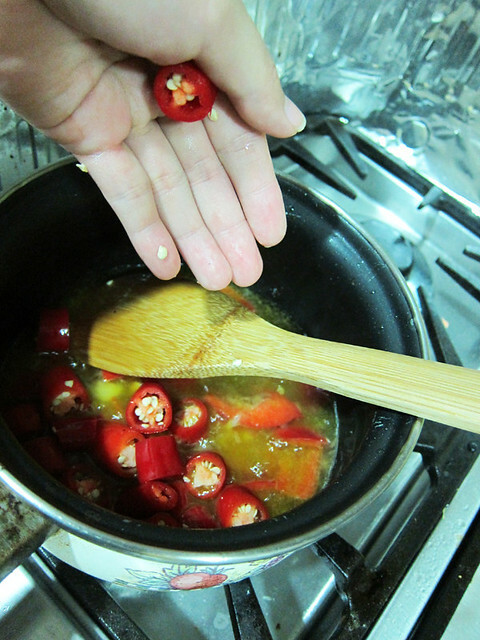 By the way, the recipe for the peri-peri sauce yields about 300ml of sauce. Multiply it accordingly if you want to make more, it keeps for a month in the fridge! 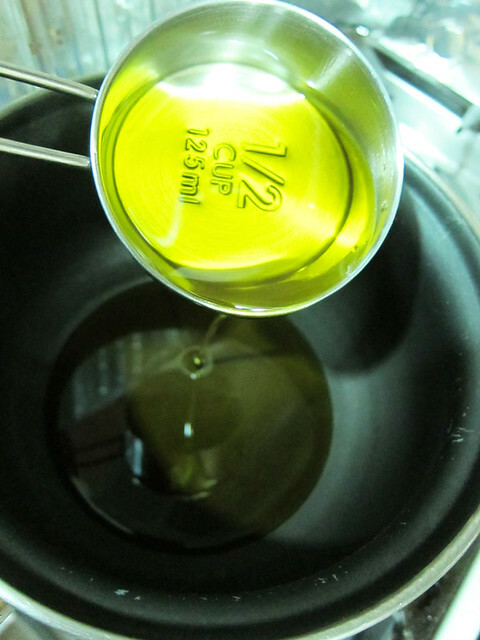 # – First, pour the olive oil into a saucepan over medium heat. 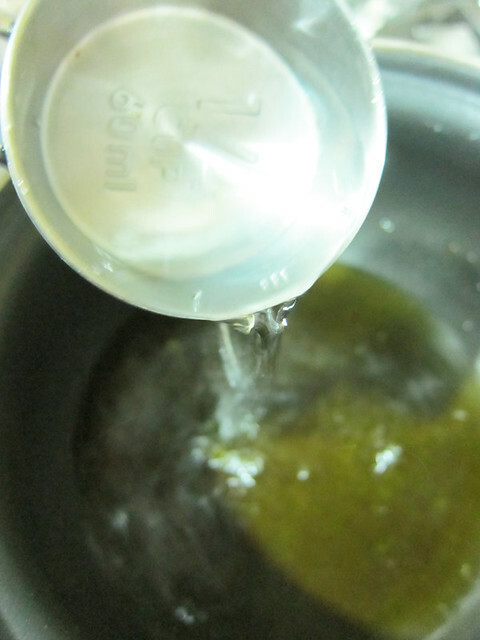 # – Then add the white vinegar. 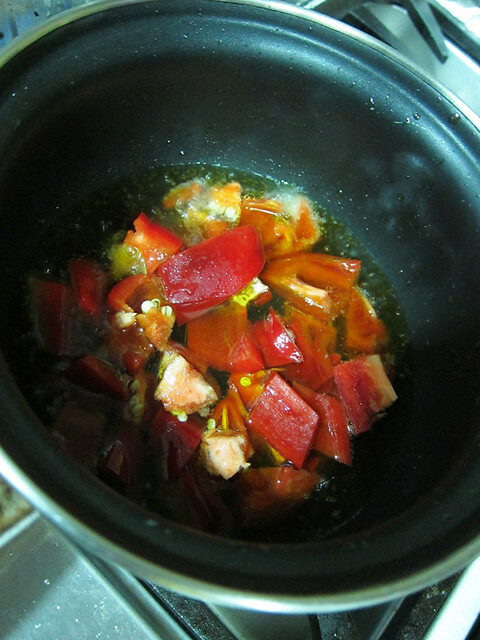 # – When the oil & vinegar mixture starts simmering, throw in the chopped up red capsicums. 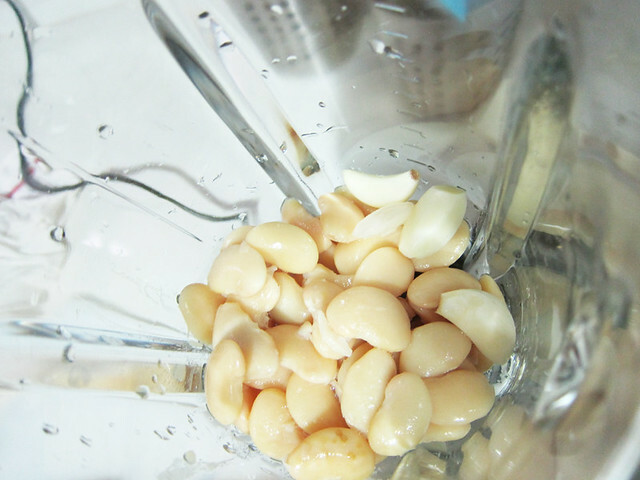 # – As well as the garlic cloves. 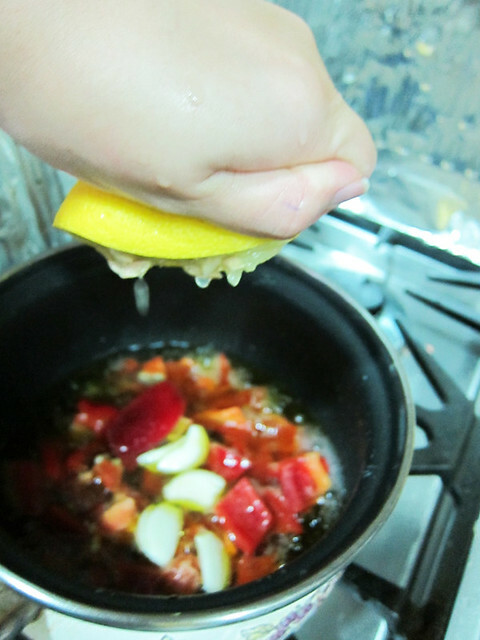 # – Followed by juice of half a lemon. Stir to mix. # – After 15 minutes, turn off the heat. Add the chopped red chillies with seeds and all. 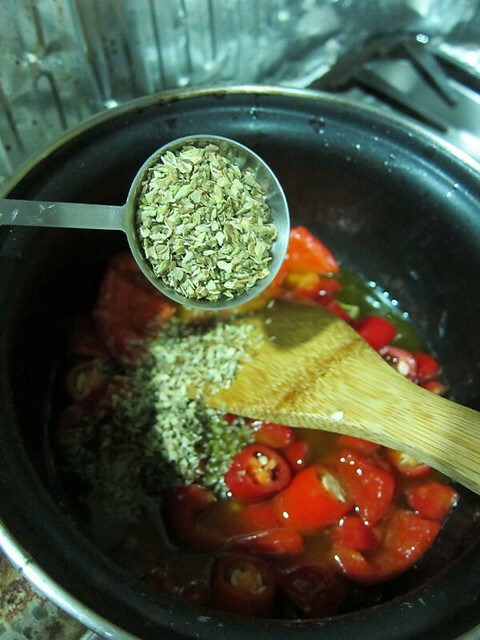 # – Not to forget the bird’s eyes chillies too, with seeds as well. # – Also the oregano. # – And lastly, salt. 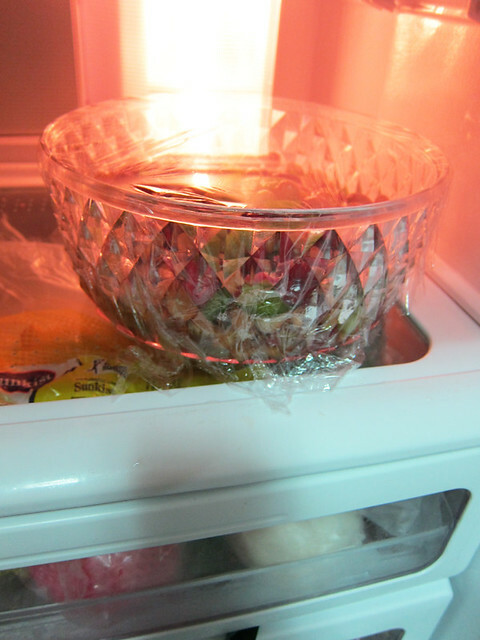 Allow the mixture to cool down slightly, about 10-15 minutes. 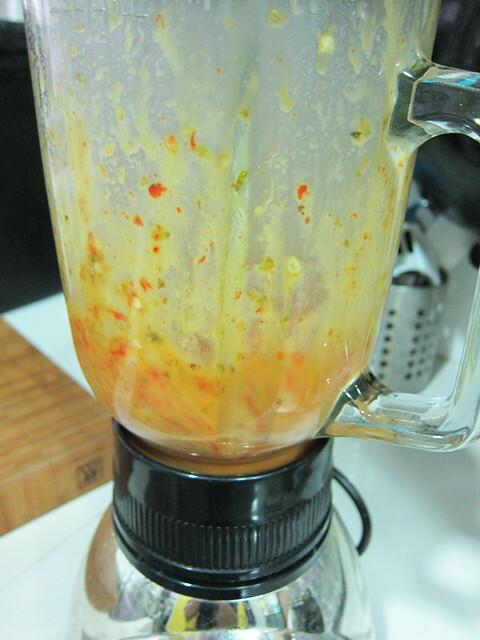 # – After it has cooled down a bit, pour it into a blender. 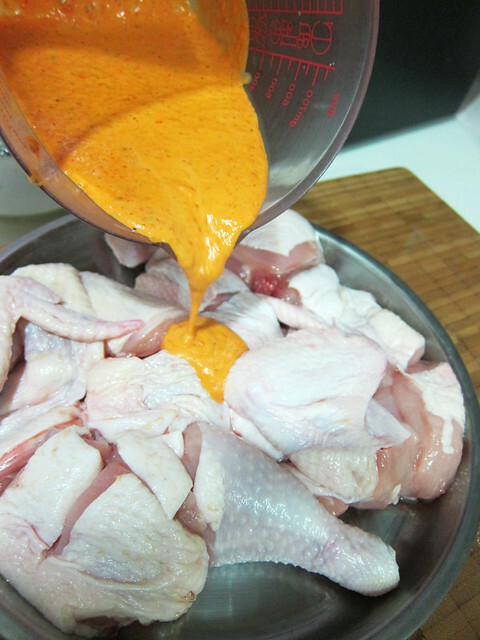 # – Now, pour about 150 ml of sauce all over the chicken (that’s been rubbed with some salt) and brush it all over. Keep the rest of the sauce. 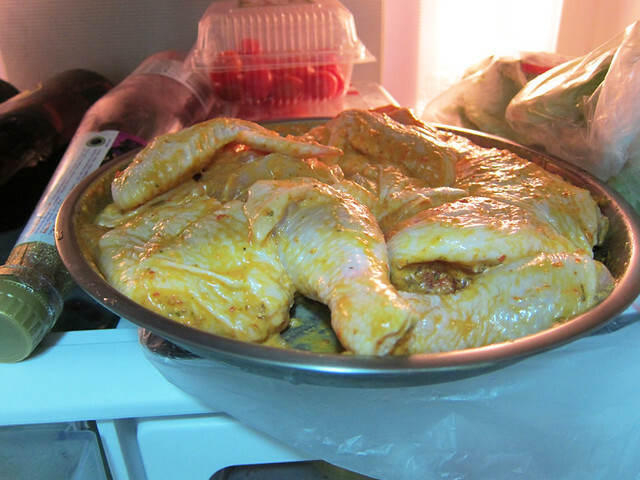 # – Stick the chicken in the fridge to marinade for a minimum of 3 hours or best, overnight. 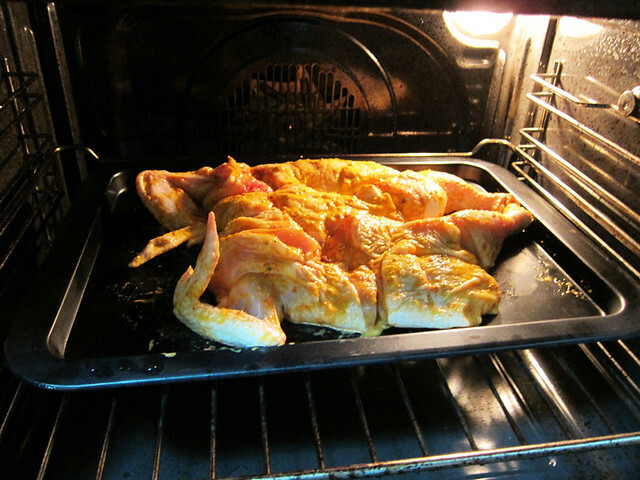 # – When ready to cook, bake in a pre-heated oven at 200 degrees celcius for 30 minutes. 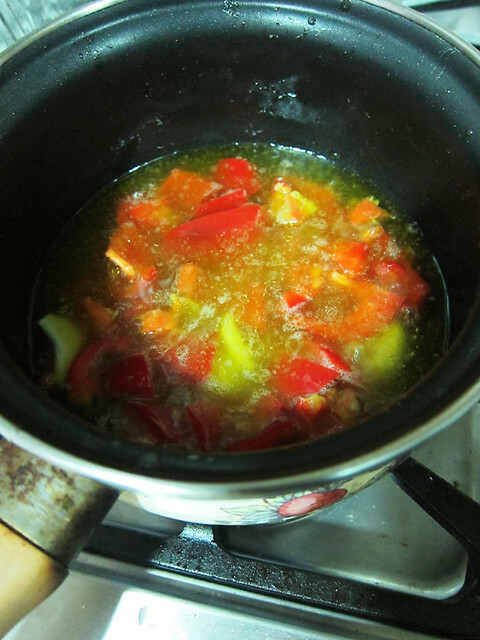 Then turn the heat down to 180 degrees celcius and cook for a further 15-20 minutes. 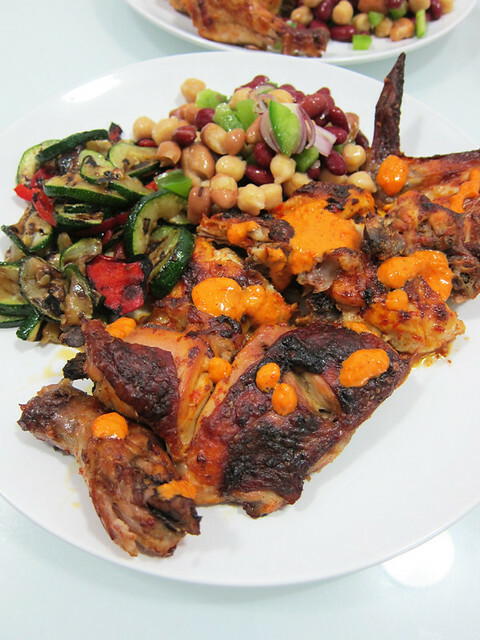 # – Peri-peri chicken, DONE! 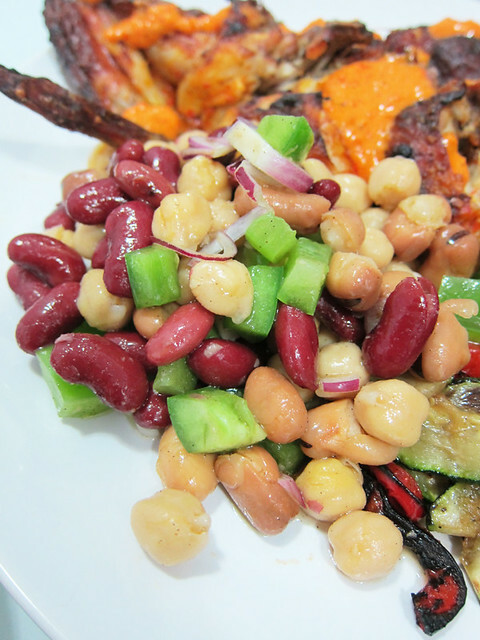 # – Serve with grilled vegetables and 3 bean salad (recipe to be posted soon). Pour the remaining peri-peri sauce over the chicken for extra oomph. # – And that’s how you make your own Nando’s peri-peri chicken at home. 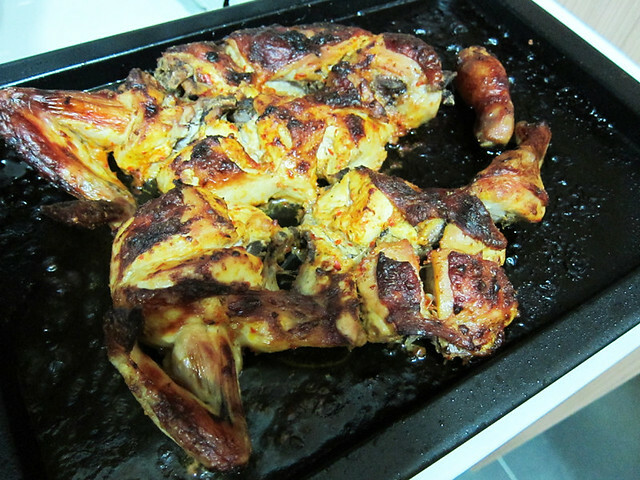 The chicken was succulent and full of flavours. The sauce was delicious! The BF said that it didn’t taste precisely like the sauce from Nando’s but it’s unmistakably a peri-peri sauce with its own special kick. Happy cooking! 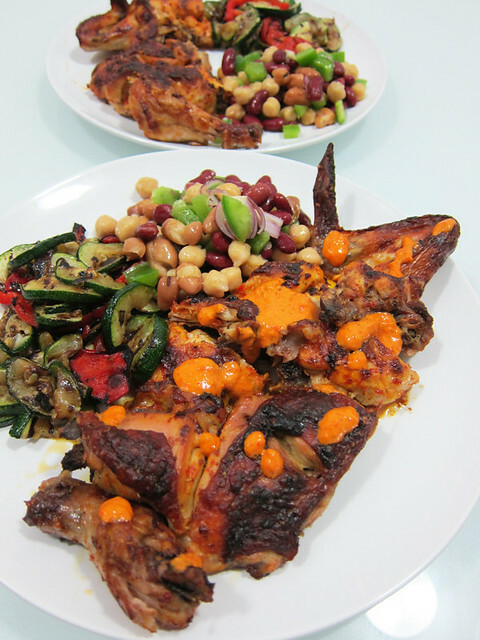 I am currently experimenting with low glycemic index (GI), slow carb recipes in preparation for the biggest diet overhauling of our lives and this is one of the results. 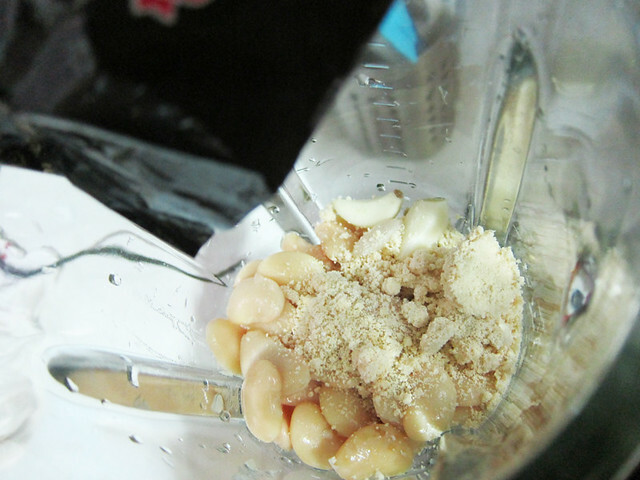 In fact, even before we developed the awareness about low GI food, I’ve made bean mash before, which is an example of a healthy, low GI food. Beans are really, really versatile (and tasty) as you shall discover in this recipe. 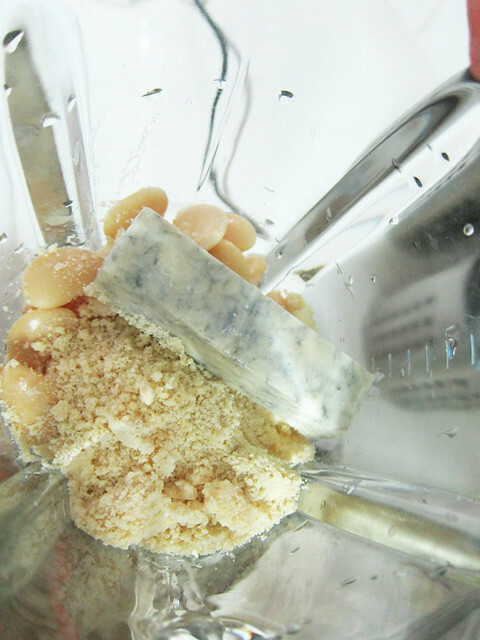 # – First, throw the butterbeans into a blender or food processor. 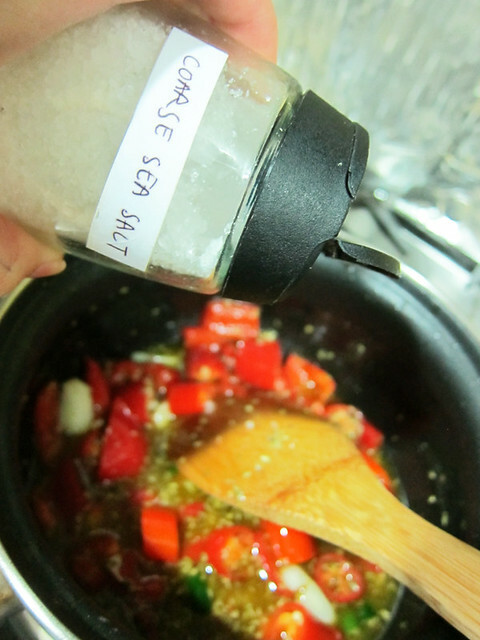 # – Followed by the grated parmesan cheese. # – And then the blue cheese. 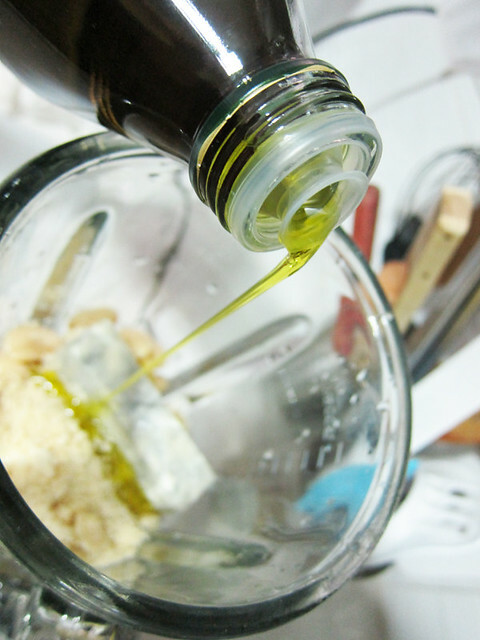 # – Pour in 3 tablespoons of olive oil. And blitz till the mixture is combined and creamy. # – Pour mixture onto a plate or a bowl. 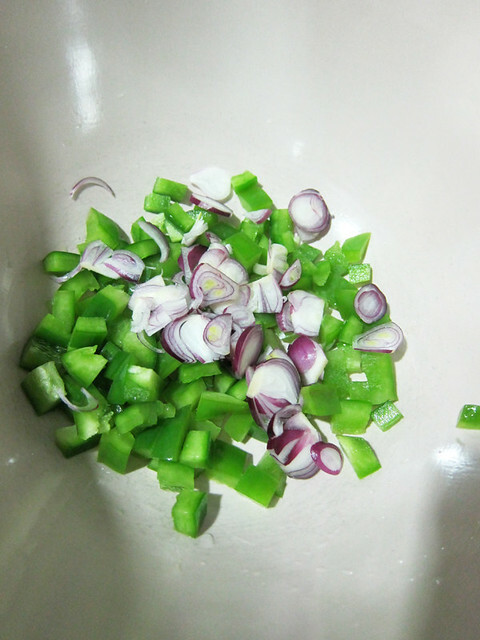 Fold the chopped shallots in and season with salt/pepper. 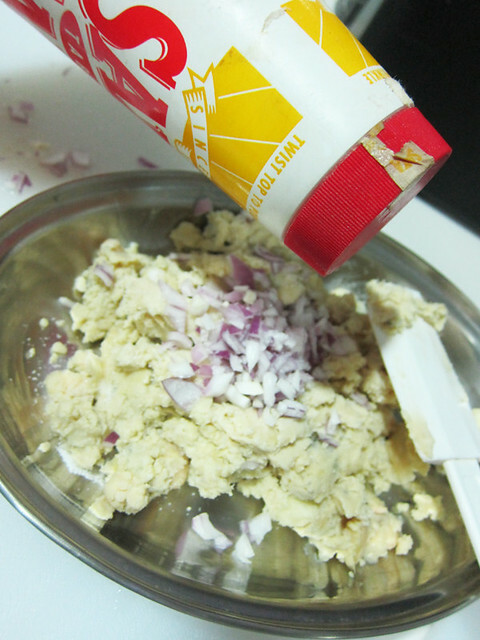 # – Shape the mixture in patties. 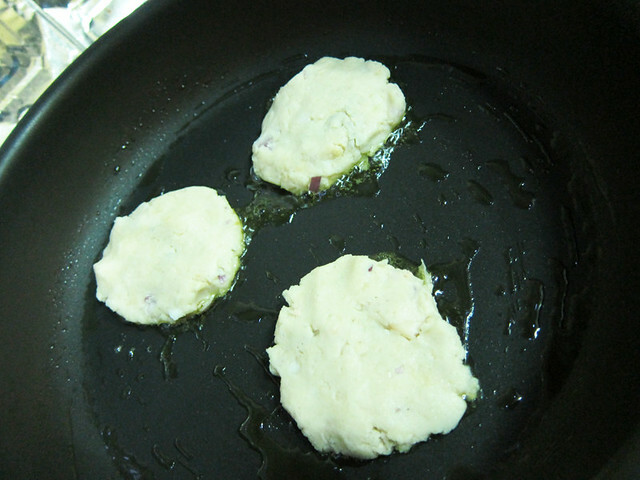 # – Pan fry the patties for 5 minutes or till golden brown on each side. 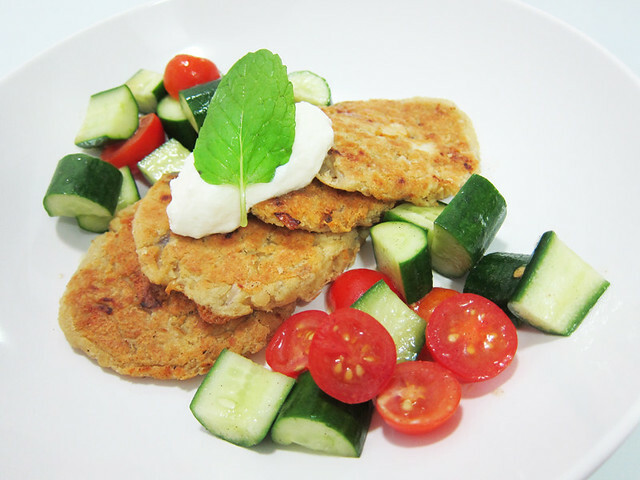 # – Serve with cherry tomatoes, cucumbers and yogurt. 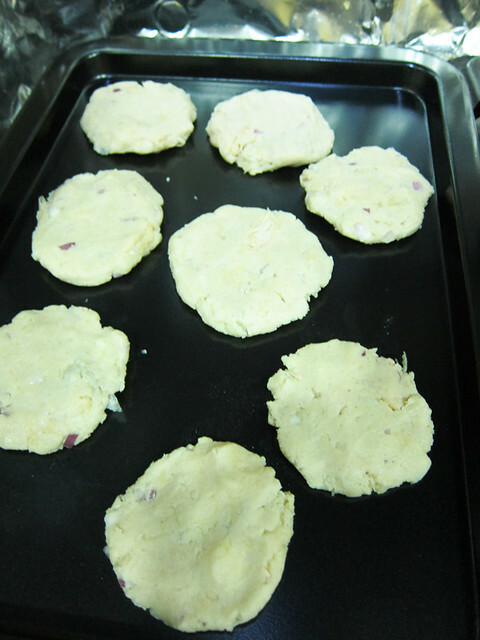 Butterbean burgers, DONE! 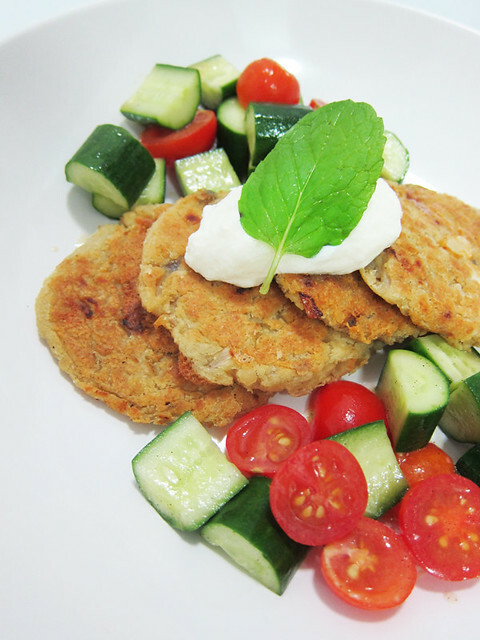 This is a far healthier alternative to fried mash potato! The burger was crispy on the outside, creamy and flavoursome on the inside. The boyfriend loved it! His only complaint was that I didn’t make more. If you would like to have this as a main dinner for two, feel free to double the recipe for a bigger portion. Stalk me, go on you know you want to. Once upon a time, a palm reader said that I was fickle minded and had an innate hunger for power. Duh, I'm a woman, hello? More..
© 2019 Narcissism is Necessary. All Rights Reserved.